New Year’s Eve is always a highly anticipated night throughout every city in the UK. Liverpool is no exception. With a whole host of events, parties and celebrations taking place across the city, it could be difficult to decide on where the best place is to herald the arrival of 2016. To give you a flavour of what’s on offer, Signature’s Liverpool brings you ten of the best places to greet the New Year in style. The Catholic Church turned bar invites people to dress to impress at this year’s New Year’s Eve James Bond-esque party. The Seel Street based venue is calling on attendees to dress ‘dangerously desirable’ as it rings in 2016 with a spectacular show that is set to wow and amaze. Tickets for the bash are selling out quickly, according to the Hispanic-inspired restaurant’s social media accounts, so grab them while you can. The Albert Dock-based themed bar will serve up a treat as it brings Las Vegas to Liverpool. Kier Smith, Events and Marketing Manager at the venue, says everything from the weird to the wonderful will be on show throughout the evening. He said: “Guests can expect to be entertained from the minute they arrive at the venue, whether it be our walk about acts, such as showgirls, or our globots. Both dinner show sittings are sold out and staff also anticipate tickets for the ‘Freakshow’ bar event will also sell out soon. 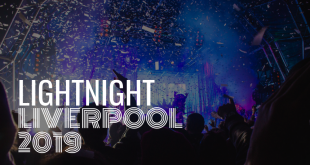 Set to close its doors for the last time on January 1 2016, one of Liverpool’s most vibrant venues is looking to hold a spectacular closing party to see out 2015. Adults are welcomed to join The Kazimier in escaping to Planet Kronos – dubbed The Final Journey – as the Wolstenholme Square based dive goes out with a bang. Fans of the club fearing a permanent closure need not be worried, as plans are in place for The Kazimier to re-open elsewhere. However, if you’re looking to spend one last night in arguably Liverpool’s greatest creative hub, this event is undeniably for you. After three successive sell-out NYE shows, Hot Water Comedy Clubs’ New Year’s Eve special returns to Lime Street’s Holiday Inn, with plenty of laughs to be had along the way. Guests can enjoy a three-course meal at 6pm, before being treated to two rip-roaringly funny shows from headline standard comics from 9pm. The evening continues apace with a DJ and disco from 11:30pm until 1am, with the New Year rung in between a host of classic numbers. With only a limited amount of tickets left, punters are advised to purchase them as soon as possible. Want to attend a glamorous, Italian inspired celebration? Then Veeno Liverpool is the right choice for you. The wine cafe, located on Castle Street, is hosting a New Year’s Eve Masquerade Ball as it welcomes 2016 in style. Attendees can enjoy a glass of Spumante Sant’Orsola Asti on arrival, before bringing in the Italian New Year at 11pm with a sample of Limoncello. Glasses of Prosecco will then be handed out in time for the big countdown at midnight. Food, as well as live entertainment, will be provided throughout the night. Liverpool’s world renowned Cavern Club is looking to serving up a New Year’s Eve to remember. Resident band The Cavern Club Beatles, along with 60s tribute band The Rockits and solo artist Richard Batty, will bring the noise across the venue’s two stages as 2015 draws to a close. Tickets are available for £20, with very limited seating tickets also on offer. The home of the world’s greatest steeplechase, the Grand National, is opening its doors on New Year’s Eve for a 1920s-inspired Speakeasy Ball. A red carpet and glass of champagne awaits guests on arrival, as a night full of wonder and extravagance awaits. A five course meal, dodgems, party games and live entertainment are just a select few of the highlights on offer for those looking for the ultimate throwback in time. The fabled 100th Monkey event returns to greet 2016 with a bang at The Zanzibar Club. Established and new talent will be on offer as the likes of Mampi Swift, SAPPO and LUCI4 bring plenty of high end drum and bass set lists throughout the nine hour extravaganza. Tickets are currently priced at the early bird offering of £10, so be quick to snap them up. Chibuku Shake Shake’s New Year’s Eve celebration returns to the Arts Club to see out 2015. Featuring a DJ set from drum-and-bass band Rudimental, as well as sets from Redlight, Monki and Pidge, the extravaganza at Liverpool’s Arts Club is looking like a night to remember. The event, which kicks off at 10pm and sees last entry at 11:30pm, is priced at £22, with the booking fee included in that figure. Head to Liverpool’s now booming Baltic Triangle, and you’ll be find yourself revelling in 303 and Constellations’ New Year’s Eve bash. Acid house enthusiast Justin Robertson will play host at the event with an evening of house and techno music set to fill all corners of the venue. Early bird tickets can be bought for £10, with further discounts for those with an NUS card as the Greenland Street based-creative space gears up for 2016. Tom is a 28 year old trainee journalist at the City of Liverpool College, working towards my NCTJ Diploma. I have a keen interest in football, music, films and all manner of things about the city of Liverpool.